We’ve all been in tough financial spots before. Those times when you must decide which bill to pay and which to put off until your next paycheck. Sometimes, these moments can have a lasting negative impact on your credit that follows you around for seven to 10 years. And these days can come back to haunt you when you’re car shopping and get hit with a rejection letter when you apply for financing. 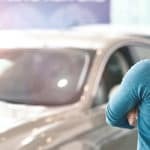 While this may make you feel like tossing in the towel and giving up on your car search, there are ways to solve this problem and build a positive credit history in the process. 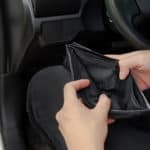 You can do this by purchasing a vehicle through a dealership that specializes in helping customers with damaged credit due to bankruptcy, divorce, slow payments and more. RightWay offers just that. We have built relationships with more than 20 lenders that specialize in all types of credit situations and are prepared to make you a fair car loan offer. 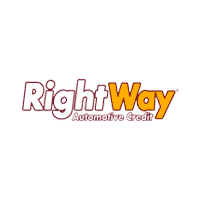 What’s more, RightWay will submit your credit file to all 20 of our lenders and find the one that offers you the strongest deal, so you don’t have to spend days searching for lenders who issue bad-credit car loans. We’ll do all the heavy lifting for you. All you have to do is choose the car that best suits you and your budget. 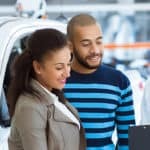 One key in buying a vehicle from a dealership specializing in damaged credit is to verify that your on-time payments will help boost your credit score. Fortunately, all the lenders RightWay deals with report all your payments to the major credit bureaus, Equifax Experian and TransUnion. So, not only will you get the car you need, but you will also help rebuild your credit with each monthly payment. Selection is also key, and we have that covered with more than 1,500 vehicles available between all our locations. Each vehicle has been inspected by an independent repair facility to ensure it is mechanically sound and all the key safety items function as intended. If the repair facility spots a safety issue, we have it repaired immediately. On top of this, we include a six-month/6,000-mile powertrain warranty and two years of oil changes. Stop by today to get a quality car, fair financing and the opportunity to start rebuilding your credit.